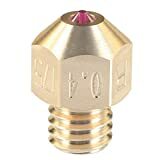 This is the highest precision nozzle you can find in all stores.. 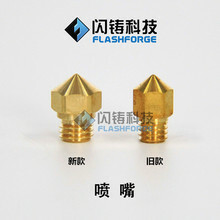 These nozzles will allow you to print spool after spool of Carbon Fibre, Bronzefill and other abrasive materials.. They also leave a particularly beautful print with PLA , ABS and other filaments.. This nozzle can print all day long, week after week.. If there are any questions, please feel free to contact us, SIQUK Customer Service Team will spare no efforts to assist with you within 24 hours..
Package Includes: 1 PCS * 40 Motor | PHOTOS:. Usage: 3D Printer (CR-10/Ender-4/Ender-2 ect). The NV6 heating block is compatible with the design and size of the V6 heating block;. The NV6 heating block adds more temperature measurement methods than the V6 heating block;. The heating block of NV6 is processed by pure CNC and supplemented by anodic oxidation. It looks beautiful.. 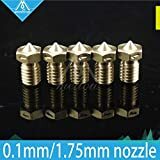 The NV6 heating block adopts the jack screw to fix the heating pipe, which solves the problem that the V6 heating block adopting the long screw to fix the extrusion aluminum meets.. The NV6 heating block is added with a matching silicone protective cover, which makes the product is more practical, beautiful and convenient.. 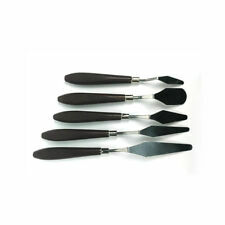 Adopt imported communication chip, good stability, no driver installation. Can also be used with an external USB3.0 cable, with expansion of U disk and WiFi module..
Package Includes: 1pcs Nozzle | E3D V6 NOZZLE. 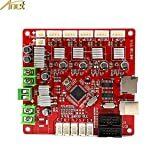 Highly-integrated mother board fits for Anet A3 3D Desktop Printer.. 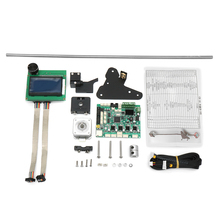 Upgrading circuit design offers it stable performance..
Adopts for MOS with high-perforamnce as a driver..
12V power supply input receivable, with USB port..
Support the connection for Ramps1.4, 2004 LCD and 12864 LCD control board..
Motherboard Features: 1. Highly integrated one board, to solve the Ramps1.4 modular interface cumbersome, easy to trouble the problem. 2. 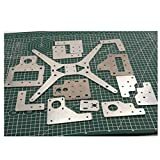 Optimize the layout of the alignment and cooling design, so that the whole board performance more stable. 3. Support automatic leveling proximity probe, the customer can add their own automatic leveling leveling. 4. Large USB, more stable connection, the interface is more concise, wiring more convenient, more stable work, longer life. 5. The use of onboard 4 A4988 16 subdivision stepper drive board motor drive (Z axis two motor interface). 6. PWM DC 3-way output (1 large current, 3-way current, 2 small current). 7. 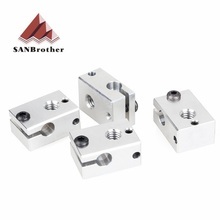 The use of high-performance low resistance through the Mos tube to do the drive, cooling better. 8. The use of ST original power supply chip to support 12V power input to solve the Ramps voltage conversion chip heating problem. 9. Configuration and Ramps1.4 exactly the same, can be directly replace Ramps1.4. 10. Can be directly connected Ramps1.4, 2004 LCD control panel and 12864 LCD control panel ( remove the L-type adapter board ). 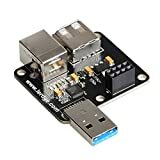 Specifications: Brand: Anet Suitable for: Anet A3 3D Printer Voltage Input: 12V Mainboard Size: 10 * 9.5 * 2cm / 3.9 * 3.7 * 0.8in Mainboard Weight: 63g / 2.2oz Package Size: 12 * 11 * 3cm / 4.7 * 4.3 * 1.2in Package Weight: 80g / 2.8oz Package List: 1 * Control Board for Anet A3 3D Printer Note: Please pay more attention to the circuit diagram showed in the picture before mount it. 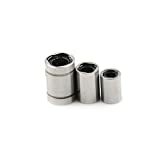 Package Includes: 1 x Ball Bearing | window.adminAccountId=231293276..
Heat preservation, keep the printer heating evenly and work better. You can Punch Holes or Cut fit size to the cotton.. Recommend Safe Working Temperature : ＜300°C. Cotton Size: 70mm x 20mm x 2mm Kapton:Width 6mm, Lenght:33M. 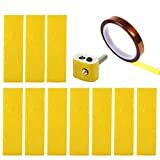 Package including:15PCS x 2mm heating block cotton + 1PCS x 6mm Kapton Tape. 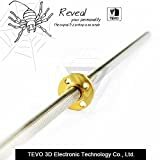 Specification Material: cotton Cotton Size: 70mm x 20mm x 2mm Kapton:Width 6mm, Lenght:33M Feature: heat preservation Note: this product only suitable for 3D printer using indoors Attention: Small parts, keep away from children Package including: 15PCS x 2mm heating block cotton 1PCS x6mm Kapton Tape WARNING!! 1.3D printer replacement parts, Always shut off power to the circuit before starting installation work. 2.The surface temperature of the 3D printer might be high, and be careful not to touch the heating element to prevent injury. 3.3D printer initial operation, Do not run the equipment Unattended state. 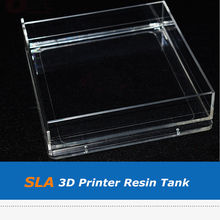 4.When printing with a PLA(190°C-230°C) or ABS(230°C-250°C)consumable, if the temperature sensor and other accessories fail, it may cause high temperature hazards. Do not run the equipment Unattended state. 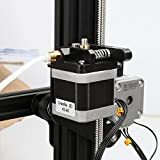 5.To ensure the users will use the product safely and properly, Please read your 3D printer manual first and follow the instructions step by step before using the product. 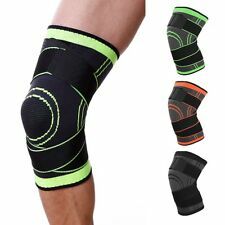 6.Due to the variety of possible end-uses, it is ultimately the responsibility of the customer to determine a product's suitability for a particular application. 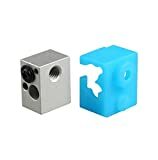 This Ender-3X Upgraded version comes with a tempered glass, which makes models are easier removed and makes the hot bed more flat..
Easy and Quick Assembly: It comes with several assembled parts, you only need about 2 hours to assemble 20 nuts well..
Resume Print: Ender 3X Upgraded has the ability to resume prints even after a power outage or lapse occurs.. 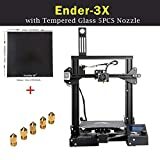 Extra Gift: 5PCS MK10 0.4mm Nozzle and 1PCS Tempered glass and 1PCS Ender3 Printer build surface 235x235mm Size. Strict Test: Strict testing for key components before delivery and life-time technical support..